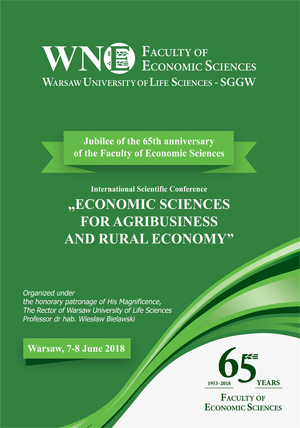 Department of Economics and Economic Policy kindly invites you to participate in the international scientific conference “The Problems of Rural Areas and Agri-Food Sector from the Perspective of Contemporary Economic Thought”, fifth in the series: „Changes in Agri-Food Sector in European Countries”. The conference will take place on the 5th of December 2013. We are waiting for your applications followed with long abstracts (about 2500 characters including spaces) until the 24th of June. Deadline for full papers is the 9th of September. which will take place on 5th June 2013 at the Faculty of Economic Sciences, Warsaw University of Life Sciences-SGGW. The aim of the Conference is to integrate the scientific community involved in marketing issues and to launch a discussion and research in this subject area. Exchange of views and joint research should address direction of modern marketing development, especially including: choice of strategic markets, marketing planning, social aspects of marketing activity, marketing communication and key issues of brand management. The Organizer: Department of European Policy, Public Finance and Marketing, Faculty of Economic Sciences WULS-SGGW.